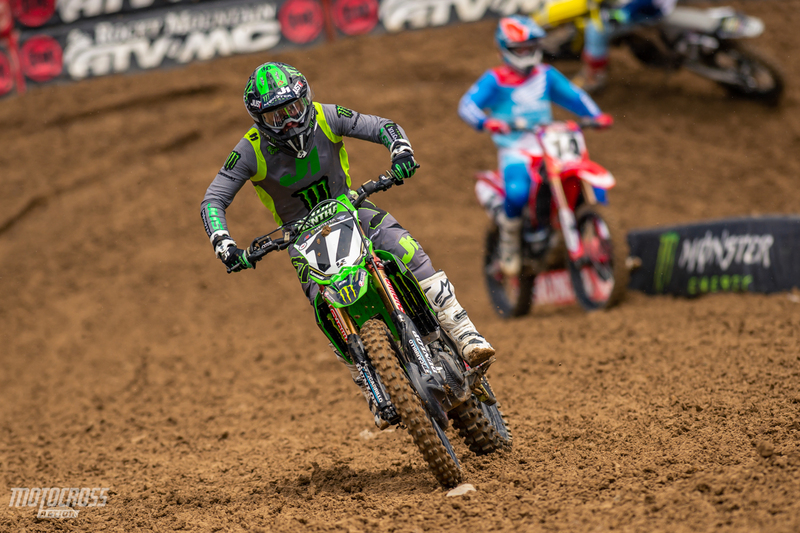 Eli Tomac qualifies fastest in his home state of Colorado. The 2019 Monster Energy Supercross season is in it’s final stages. Denver marks round 15 of the 17 race season, this means there are only three main events left to go for the 450 class. It’s a cold day for Supercross in Denver. The snow fell during the first qualifying session, but now the sun is out and the track has changed from wet and slick conditions to a dry and dusty, hard pack track. Besides a tough track, the riders will also be challenged today while riding in the cold temperatures. 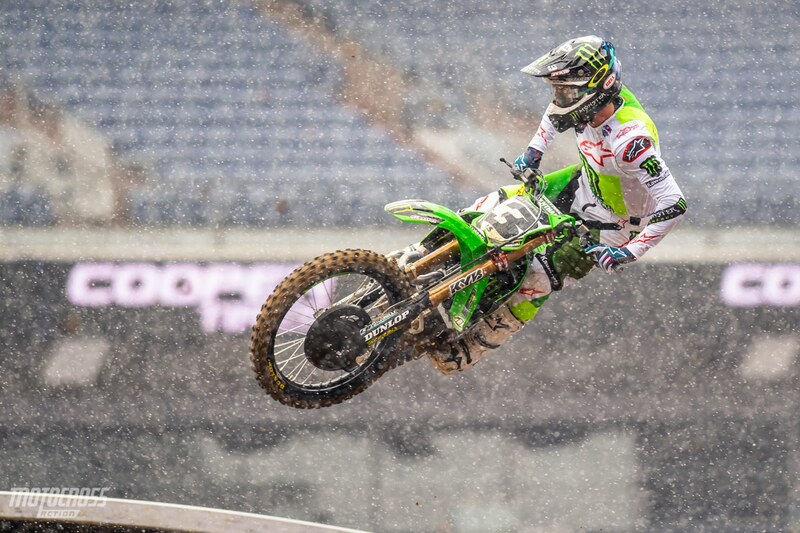 Eli Tomac mentioned that when your hands get cold it becomes harder to hold on to the bars. He also mentioned that your eyes can water when it’s cold, making it harder to see. Click here for 250 qualifying results. The second qualifying session was completely different from the first. The track is blue groove and it reminds us of the Supercross test tracks in California. 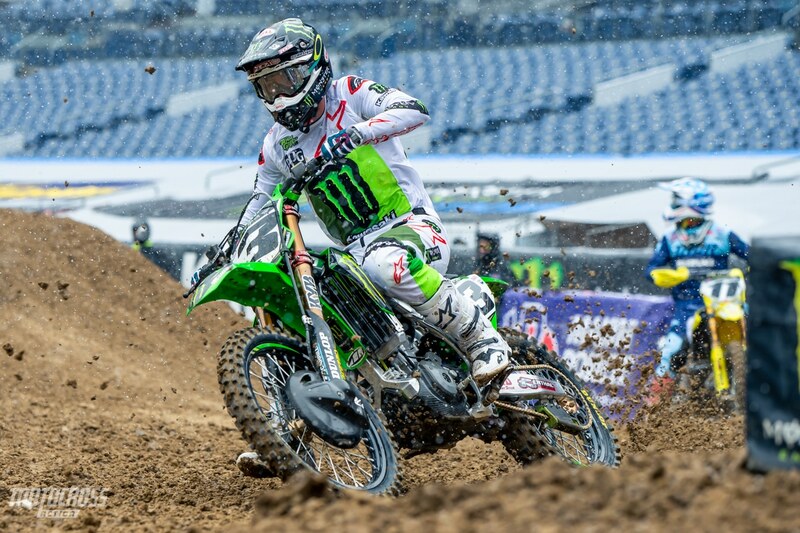 Eli Tomac was able to grab the fastest time of the day, he was .3 ahead of Marvin Musquin. Eli Tomac lives and trains about 6 hours from Denver and it seems like all of the pieces are lining up for Eli to have a great night. He has more experience than anyone with riding at high elevation and in cold weather. The top 40 transfer to the night show. 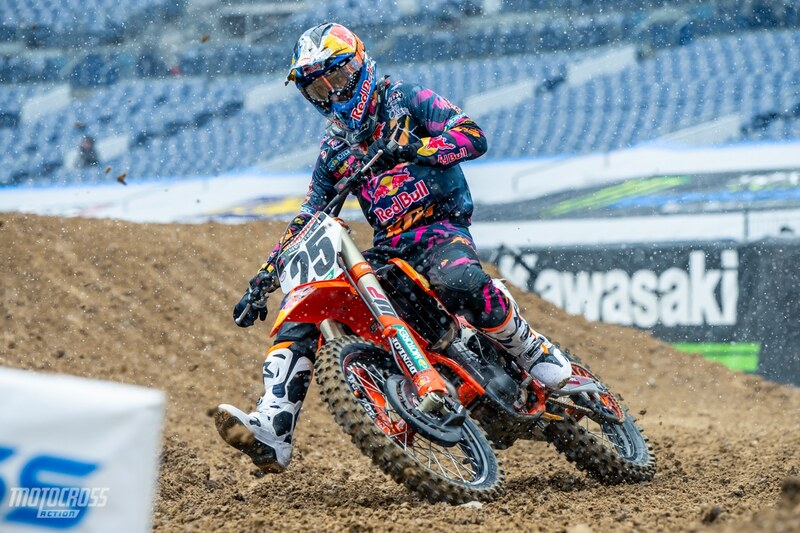 Marvin Musquin qualified second in Denver. Even after dislocating his shoulder in Nashville last weekend, Joey Savagty is back and going fast! He qualified third. Dean Wilson was fastest in the first session and he improved his time in the second session, but everyone else did too. He qualified fourth in Denver. 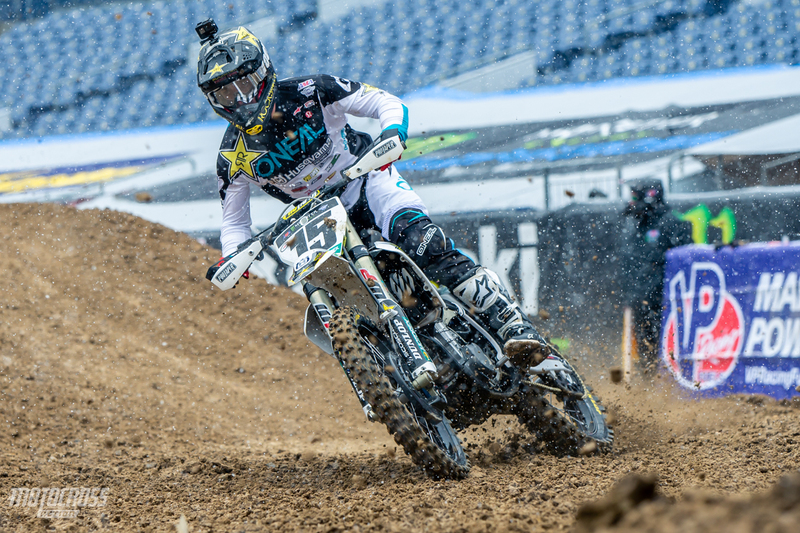 Cooper Webb qualified fifth overall in Denver. Eli Tomac is second after the first qualifying session. 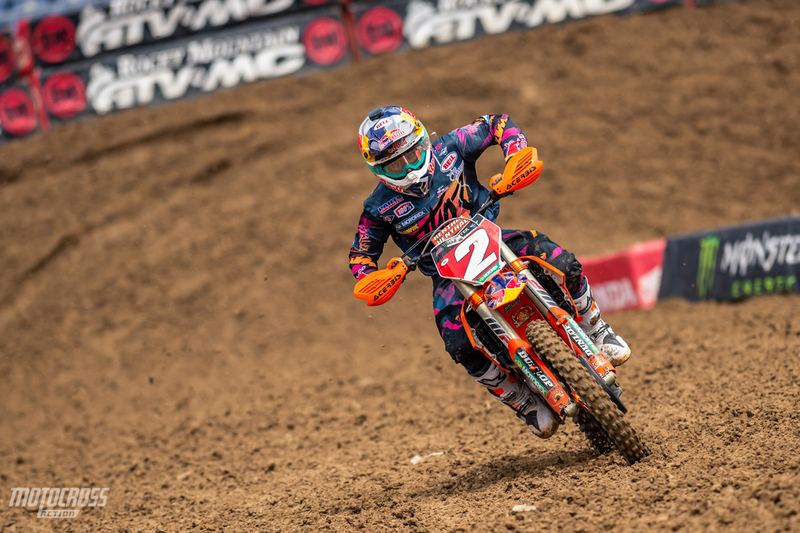 Cooper Webb has been struggling in the timed qualifying sessions at the last few rounds. So far it seems like he has stepped up his qualifying game in Denver. He currently sits third. 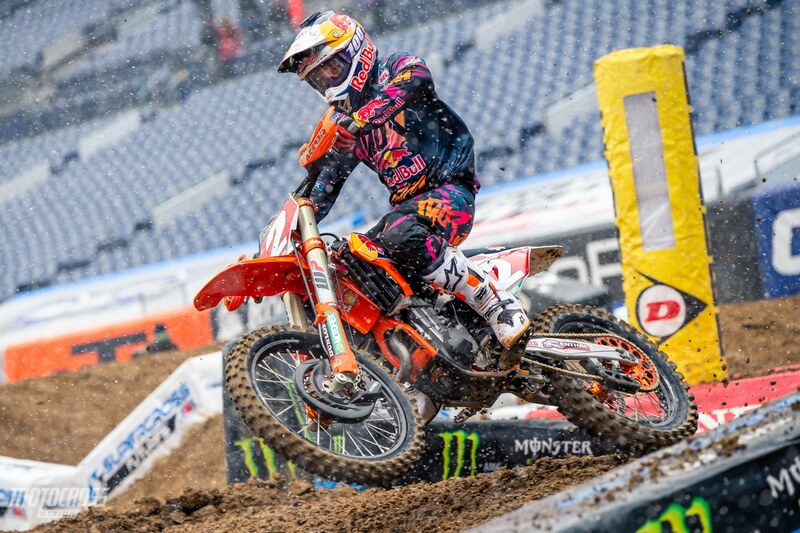 Marvin Musquin is fourth so far in Denver.